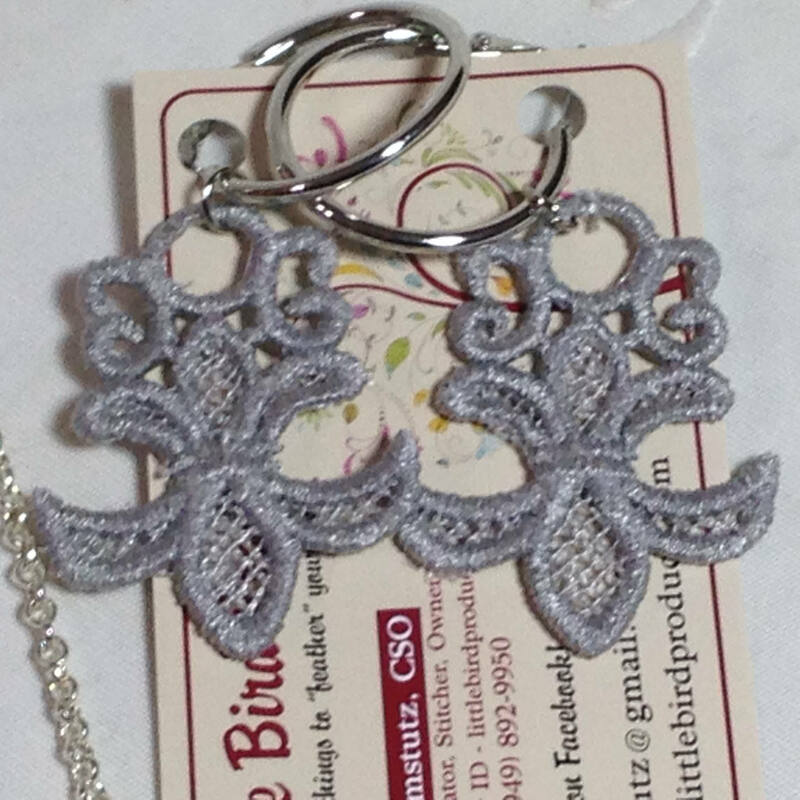 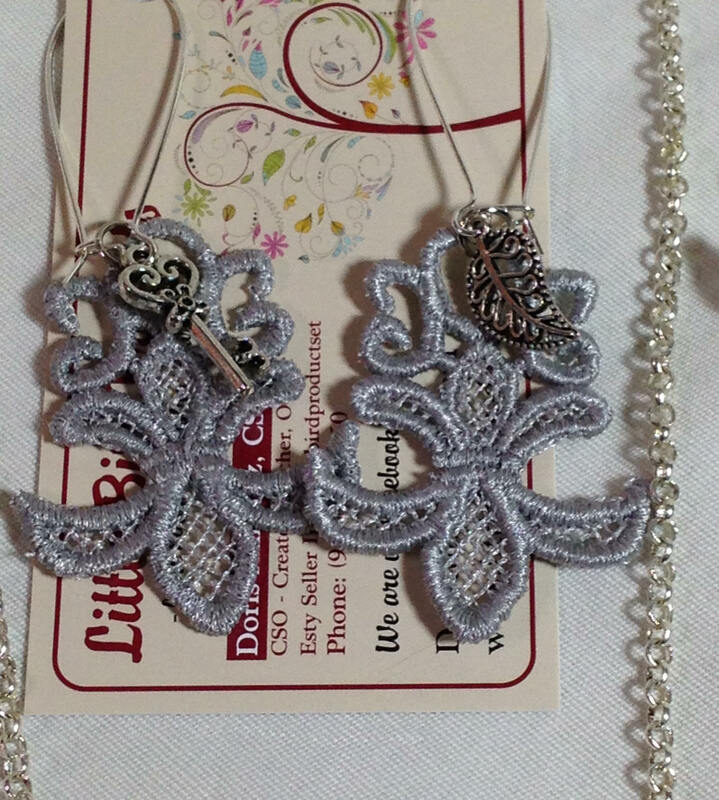 This beautiful jewelry collection is made from machine embroidered free standing lace. 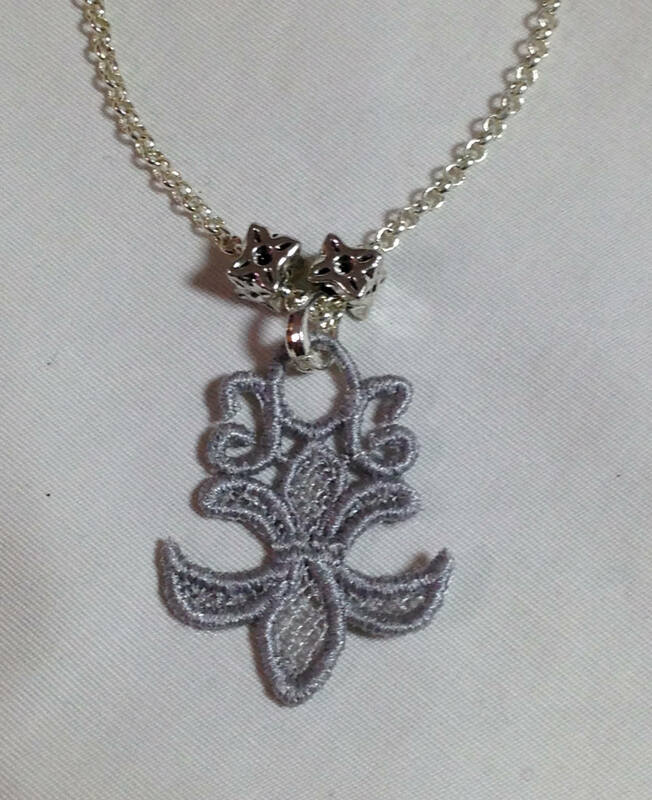 The silver gray fluer de lis is made from the free standing lace. 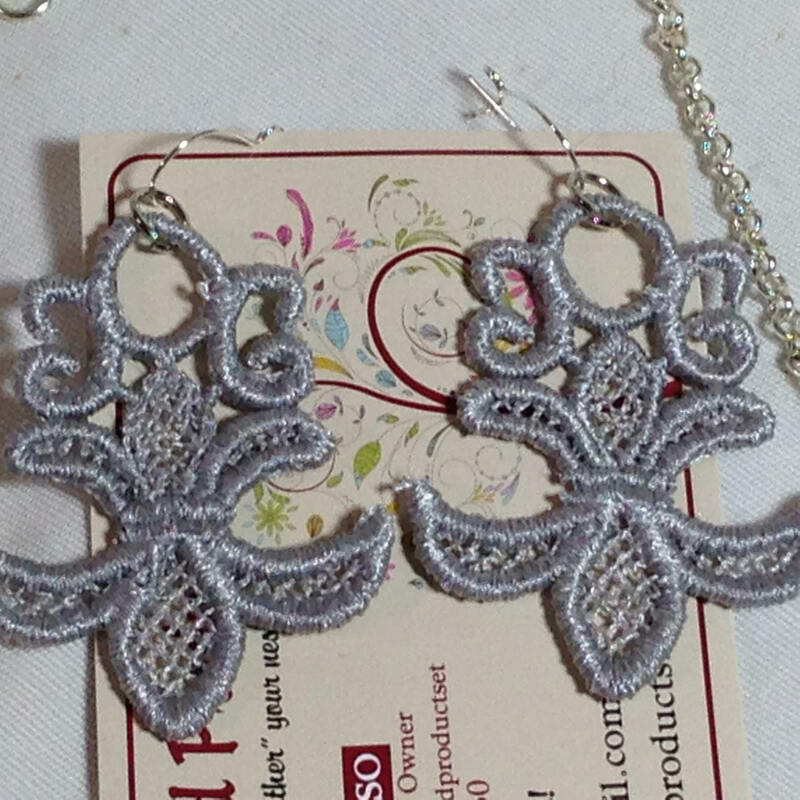 The earrings are a choice of either large loop, a small latch loop, or round hoop. 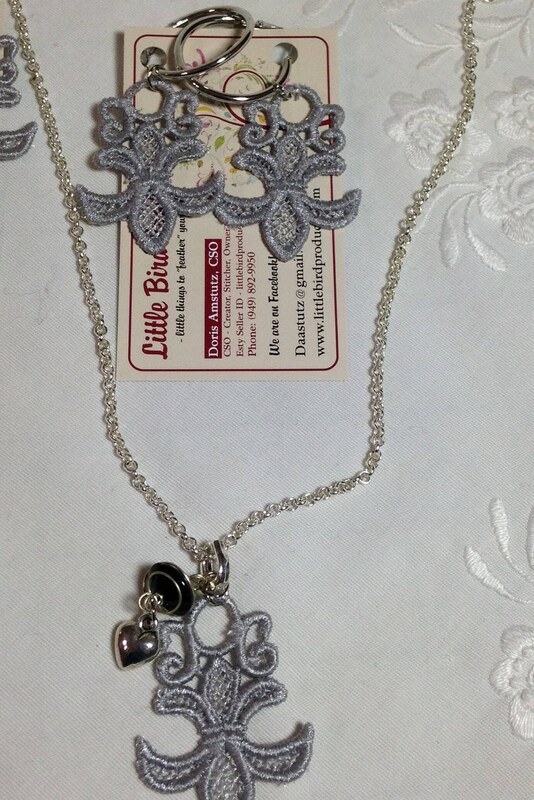 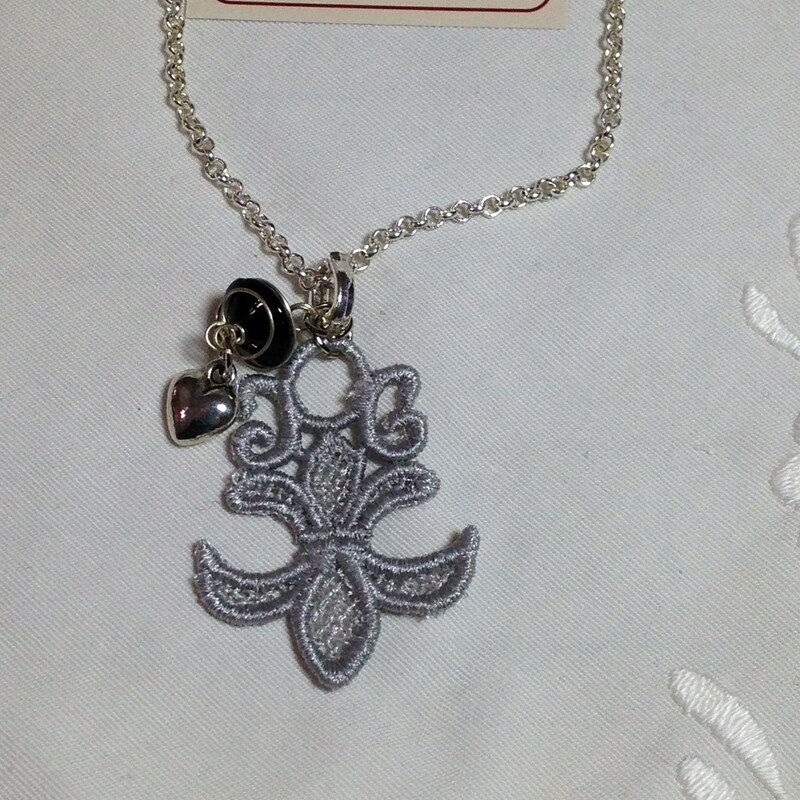 The silver plated necklaces in addition to the silver gray fluer de Lis lace have added charms in either a star shape or the heart shape with a black and silver charm. 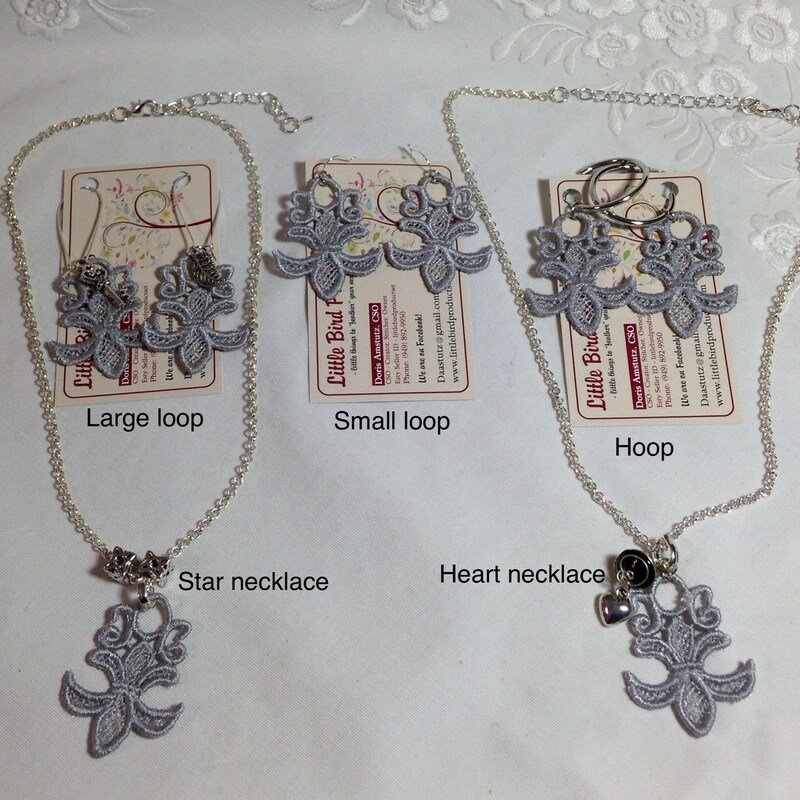 These necklaces are adjustable to accommodate many neck sizes. 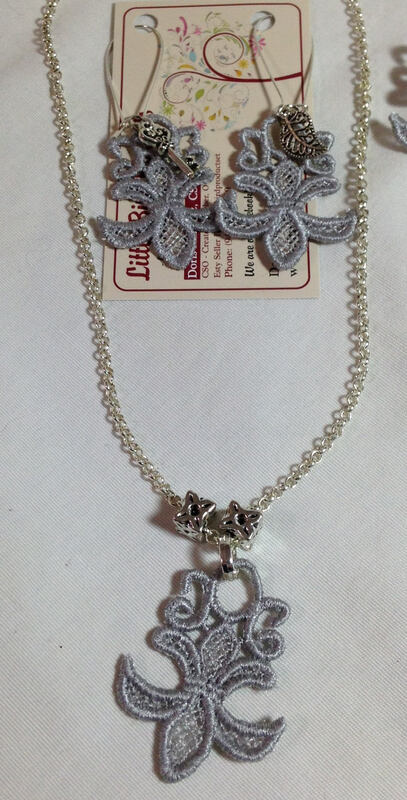 I enjoy making these pieces and love this fluer de lis patterned collection. 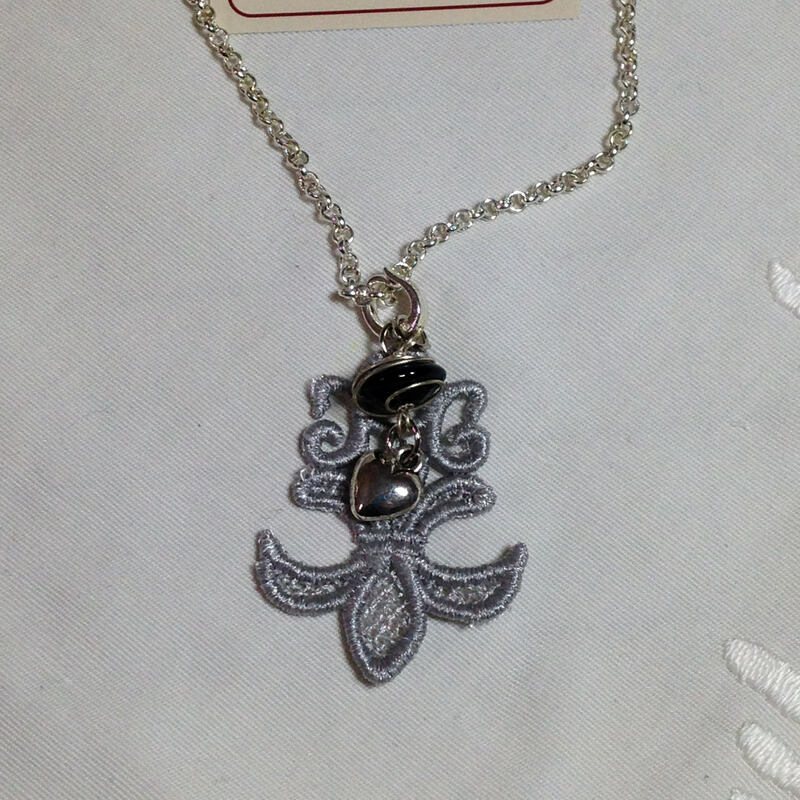 It has a bit if a Parisienne flair. 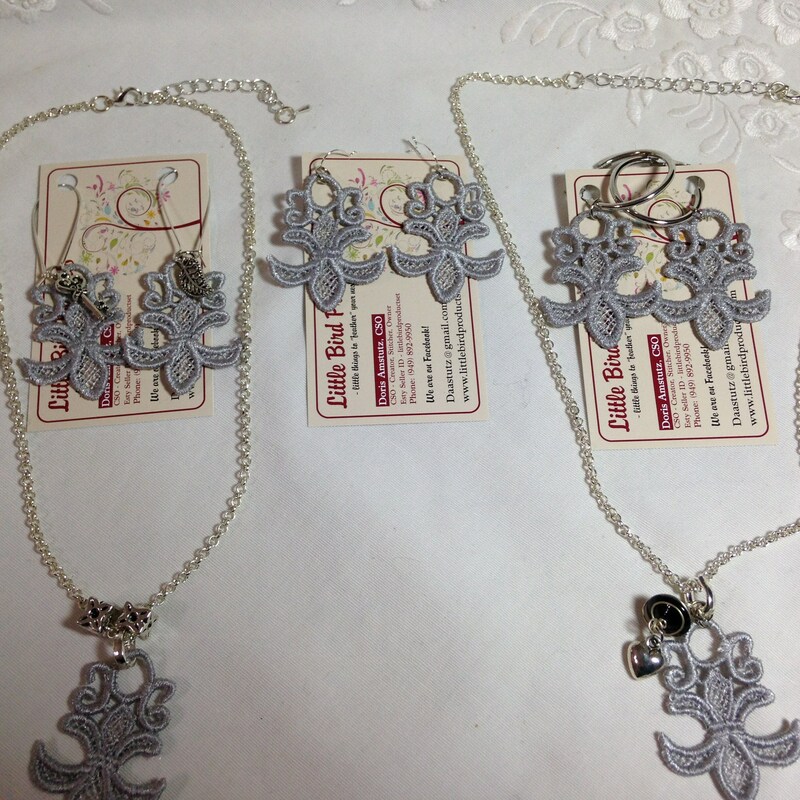 Each piece is individually listed so that you can choose your favorites and have a personally selected set of jewelry.